This is to me one of the most fun times of the year. It is football season! There is renewed spirit in the air. The community is a buzz with the recent draft picks, official practices and the question of who is going to make the cut and live their dream. Better yet… who am I going to draft for my Fantasy team??! When you think of your team, who is included? What does that mean to you? A team is a group that you are loyal to. Perhaps you wear the team colors. You go all out for a tailgate. You support them through a winning season or not. You cry when they lose and cheer when they win. Sound familiar? What about the people in your life. Who is part of your Team? It is so important in life to have those “go to” people. If you don’t know, then take a minute to assess your personal team. Your spouse, partner, friends, church group, work peers, business groups. All these groups of people will have an impact on your life in some way. We need them all for different reasons and different seasons of life. Make sure they are making a positive impact on you. So many things effect a team. First, let’s address the “I” in team. Some say there is no I in Team, but is there? Hmmm. I believe both sides because “I” alone cannot be the whole team. Luke Kuechly is not solely responsible for the Panthers winning or losing. He is part of the team, but not the whole team. A team’s success is derived from its members and the outcome of those members’ actions. However, it is up to the whole team to pull its share of the weight, so yes, in essence, there is an “I” in Team. I encourage you to look at your Team and how it is impacting your life. Are you surrounding yourself with those that you can “huddle up with” who support you and are loyal to you? Are you putting the “I” in Team and pulling your own weight? A relationship is two-sided. If you are trying too hard, then seriously consider backing off since your time is important and can be appreciated elsewhere. We are all busy and we make time for what we want to do. 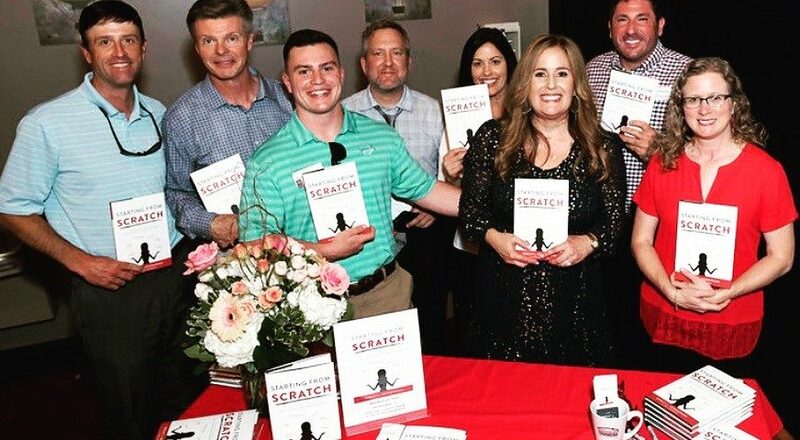 In my new book Starting From Scratch, I talk about how a Team can positively or negatively impact you. A good team will empower and support you. It football, business, and in life, it starts from the top. Let’s remember Jack and Jill rolled downhill! What are you waiting for? Go huddle up. Find your team. It is almost kick off!